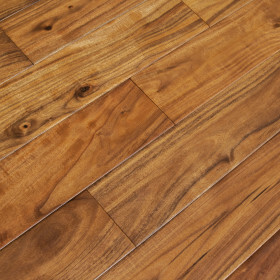 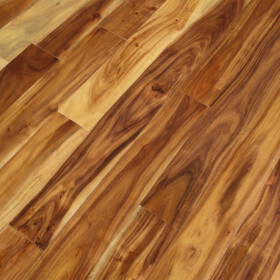 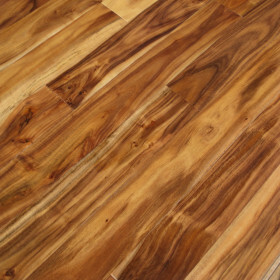 This Asian Walnut hardwood flooring gives you all of the attraction of the Acacia wood in a wide stylish plank. 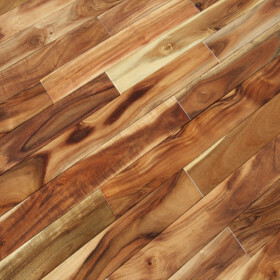 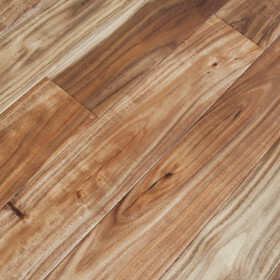 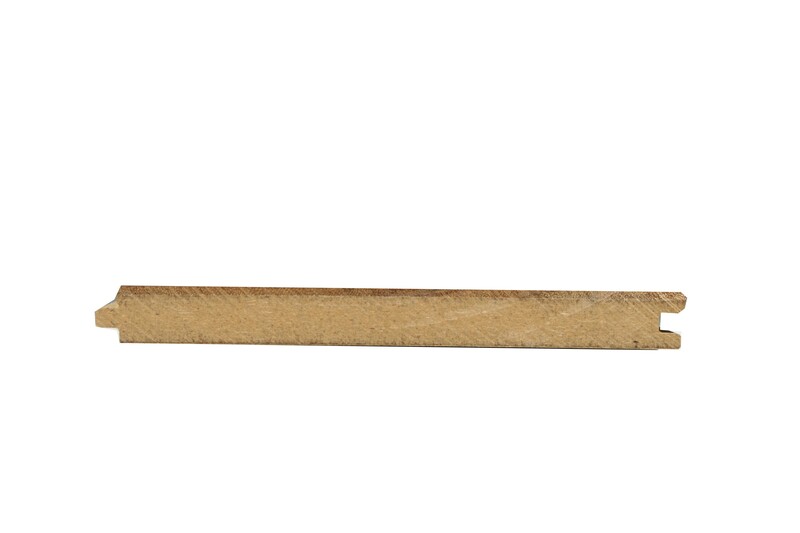 The natural variance in this wood will bring a little bit of nature into your kitchen or living room. The clear coat prefinished look highlights the Acacia’s natural variations including inherent characteristics such as knots and genuine mineral streaks. 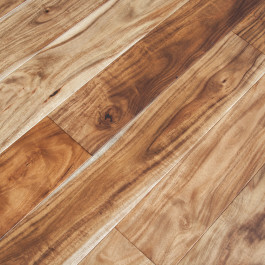 This Acacia hardwood flooring is kiln dried using state-of-the-art German machinery and backed up by a fifty year surface and lifetime structure warranty giving your home the safety and protection to fit your rugged lifestyle.